NEW water pump impellors P&S Generators & new water pump Strb. Gen. Port and starboard steps wind down from the Aft Deck to the cockpit and entrance to the lazarette, crew quarters and engine room. 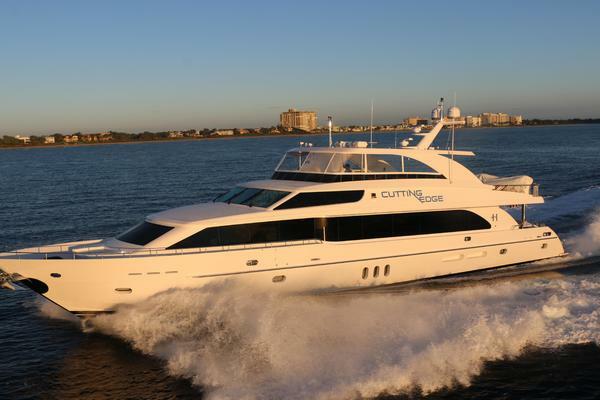 From the swim platform you are able to launch her water toys for extra fun during a cruise. The swim platform has great storage for snorkel and dive gear. The swim platform also has a non-skid finish for ease of maintenance. Large electronic sliding glass doors glide open automatically as you approach them to reveal her gorgeous interior beginning with the main salon. Entering the salon, it is apparent that the owners knew exactly how they would entertain themselves and their guests. The spacious salon offers wonderful views, a full entertainment system with 42" screen (new), cozy conversation areas. 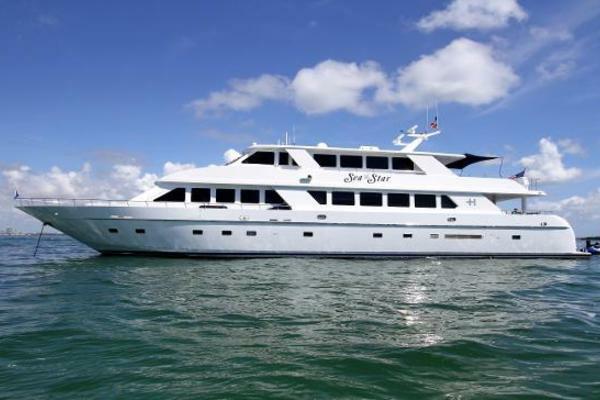 To starboard midship is a full walk-up bar with U-line icemaker. The interior style throughout is reminiscent of Biedermeier. This style is characterized by slim columns, clean Bombay cabinet fronts, Diamond cross wood patterns or glass door fronts and marble tops. 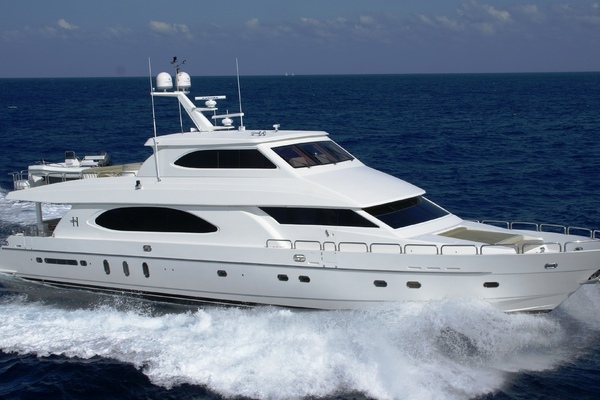 With a full 7' of head room on the main deck, she gives you the feel of a much larger boat.